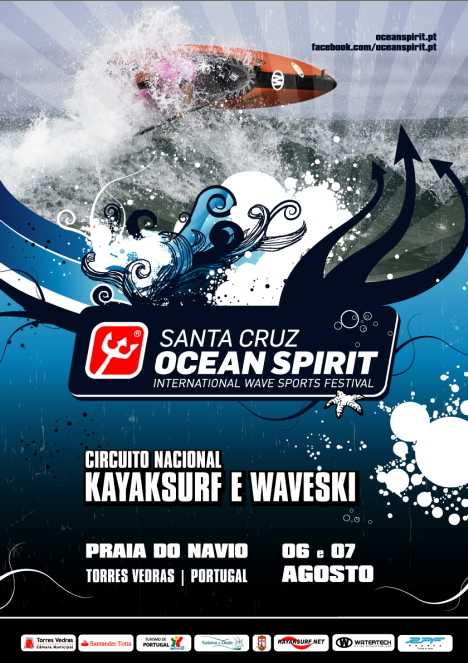 O Circuito Nacional de Kayaksurf & Waveski (CNKW) abriu com chave de ouro na Foz do Arelho no passado mês de Maio. As baterias estão agora apontadas para a II Etapa a decorrer no Festival Santa Cruz Ocean Spirit 2011. 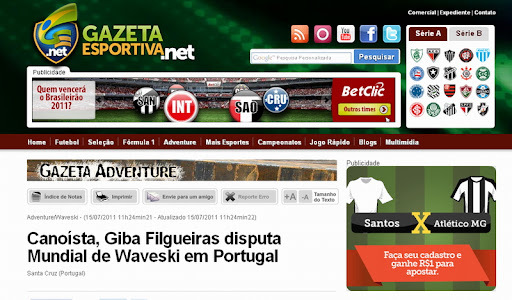 Segue todo o programa e LINK para inscrições. 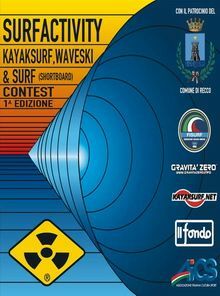 So we’ve got 78 on the list from all over the world with lots of big names turning up to the World Waveski Titles as part of the Ocean Spirit Surf Festival. I’ll be there next Tuesday putting together the odd report on what going down. If it’s anything like it was 2 years ago, it”s going to be lots of fun. Watch out if I get hold of a microphone! Well let’s start my first report with an Aussie roundup. 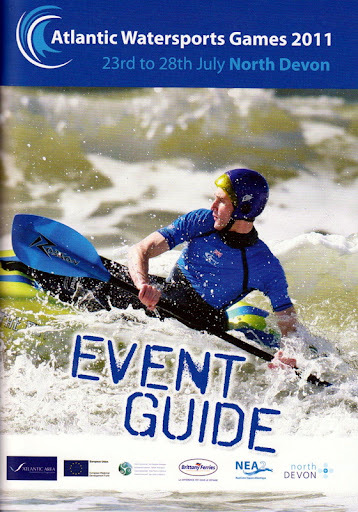 I’ve been hanging out down in Coffs Harbour lately, home of the defending champ and scoring a few good waves. 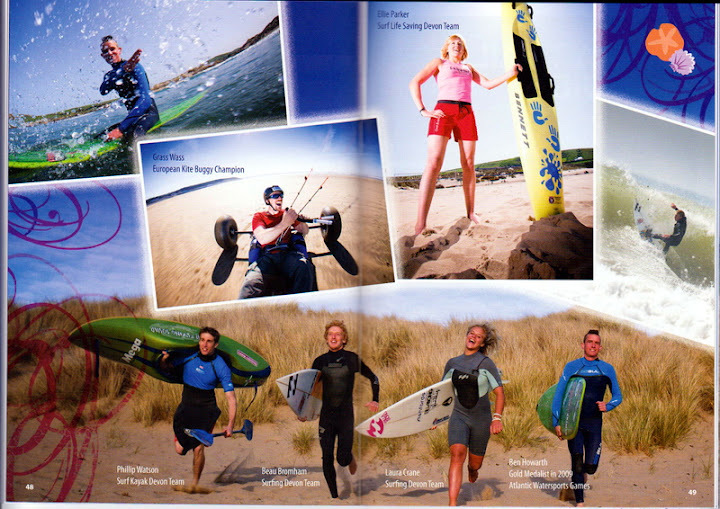 I can tell you all that Rees is fit and surfing better than ever on some new gear from the Wavemaster factory. I just hope I’m on the other side of the draw. On the women’s side, Mel Hardy has lifted her game throwing down the odd aerial, looks and sounds like she wants this title. The rest of the crew is made up of Blair Moore current Aussie and US Open Champ, Dale Randahl east coast champ, Lance Milnes current world masters champ. 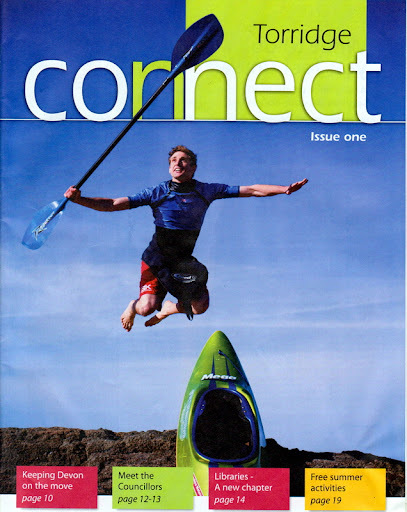 Jackie Dillion our world president and former Aussie women’s champ, Ben John craziest waveski surfer on the planet, Cisco Nascimento possibly been competing longer that anyone with a long list of victories and then there’s me, enough said there. Even though we’re a small team, we’re pretty strong and have a good chance of taking out the tag team trophy. 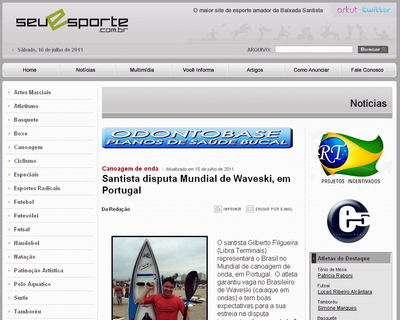 É mais uma entrevista com a chancela kayaksurf.net. Tiago Silva, responsável pelas vendas no Departamento de Surf na Onda Portugal, explica-nos a estratégia da marca para a nossa modalidade. Link mais em baixo! 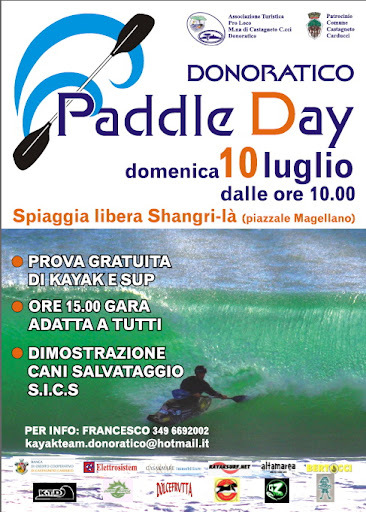 The Donoratico Paddle Day this year has been very successful.The morning there was a demonstration of rescue dogs,and skyjet lifeguard demostration. 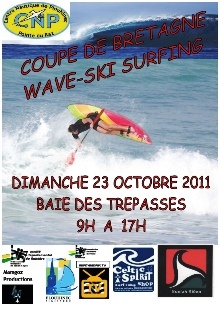 At 15 we have start whit a competition....divided into 3 categories: children, beginners and experts, in all competition we was in 32. 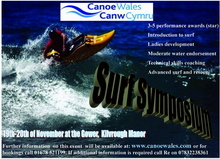 This race was organized to encourage people to approach the world of kayaking and kayaksurf and SUP. 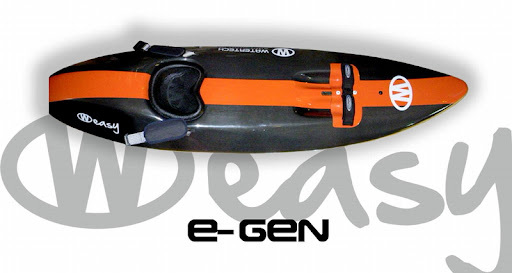 In all day we have 20 kayaks and made ​​available for free trials sup. In this day Red Bull was here for free energetic drink to all athletes. Was present also GRAVITA ZERO. 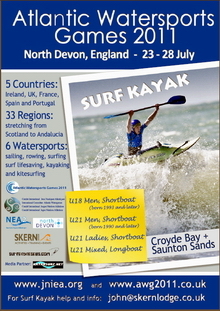 Atlantic Watersports Games 2011 / Start this weekend! 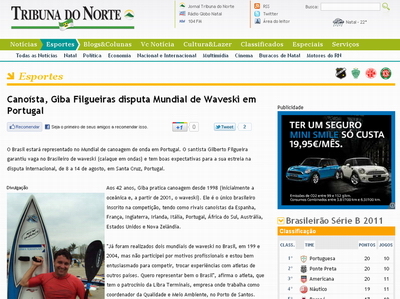 Gilberto Filgueira gave us an interview and, during that, he also said in first hand for kayaksurf.net that Brazil was candidate to organize next World Waveski Surfing Titles (2013 or 2015). 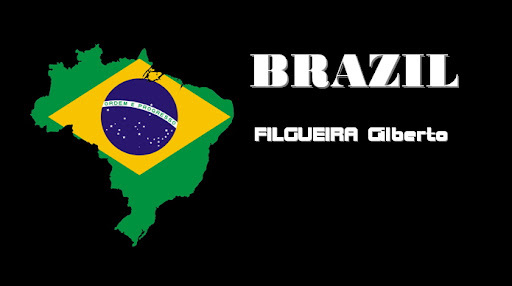 The mediatic impact of our interview was huge in Brazil. Check it out! Just click in the images. Bom... não há palavras. 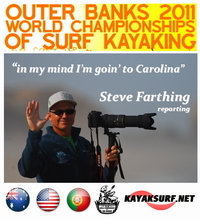 É Bernie Hugsloot, NEWS TEAM kayaksurf.net, a surfar há dias em G-Land, mítico spot de surf na Indonésia. 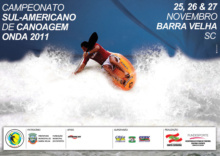 Ficam as fotos para apreciar um dos mestres das grandes ondas. No final, um pequeno vídeo produzido pelo filho de Bernie, Nic Huigsloot. Well... one image counts for 1000 words. 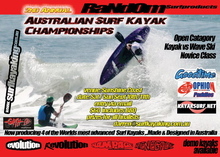 It's Bernie Huigsloot, NEWS TEAM kayaksurf.net, surfing really perfect waves this month in G-Land (Indonesia). In the end, a small video produced by Nic Huigsloot (Bernie's son). Enjoy it! 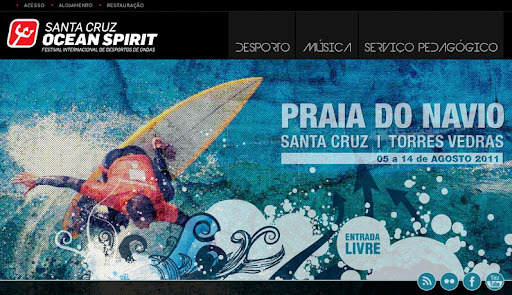 Site do Ocean 2011 online! Física Beach Hostel / A 5 minutos da Praia do Navio com preços de luxo! O novo Física Beach Hostel é mais uma alternativa para o Ocean Spirit Festival de Santa Cruz. O evento começa no próximo dia 5 de Agosto e as reservas estão a fechar! Preço diário em camarata: 15 euros / dia / pessoa, sem pequeno-almoço. Este preço inclui lençóis (a pessoa não precisa trazer saco-cama ou os seus próprios lençóis) e duche quente diário em instalações sanitárias comuns. Não há WC's privados. Entre em contacto com o Hostel pelo mail fisicabeachhostel@gmail.co​m e faça já a sua reserva. Saiba tudo também no Facebook clicando AQUI! 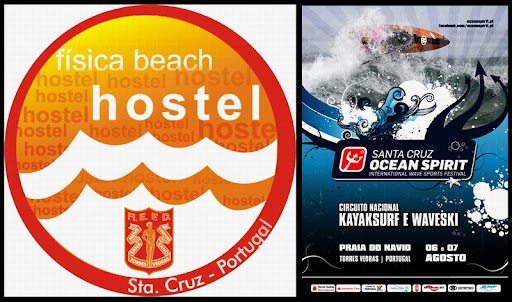 In association with Ocean Spirit 2011 Fisica Beach Hostel has beds available for those who would like to enjoy this festival or participate on the water sport competitions. 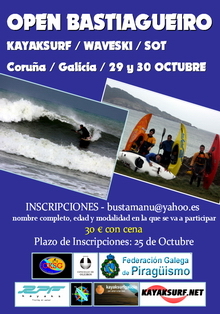 For more information please get in touch with fisicabeachhostel@gmail.co​m and visit their Facebook HERE. Física Beach Hostel is an hostel suitable for those who travel solo, with friends or family and for those who like to enjoy the contact with the ocean and the beach. 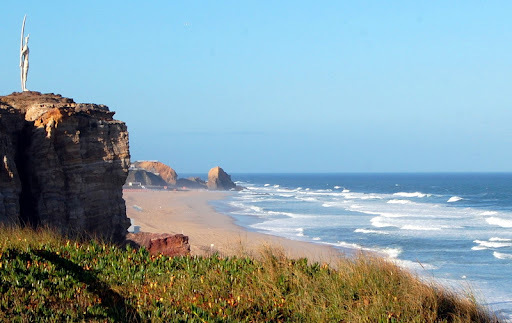 Located 8 km West of Torres Vedras, Santa Cruz is an excellent beach for practising different water sports: surfing, kayaking, kite surfing, bodyboarding and skimming. There are daily bus departures with a big variety of schedules operated by two bus companies: Barraqueiro Oeste (departures from Campo Grande Metro Station) and Rede Expresso (departures from Sete Rios Metro Station). 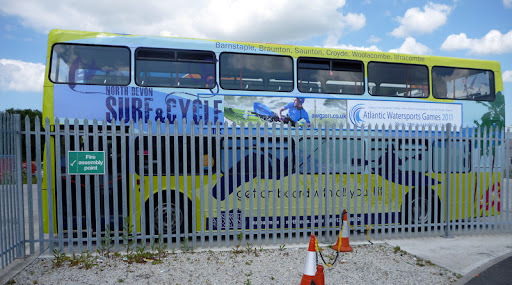 This bus ride tales around 40 minutes to reach Torres Vedras. Daily mixed dormitory: 15 euros per person without breakfast*. Double bed private Shared Bathroom: 35 euros / per couple*. - Daily hot shower in shared bathroom. There are no dormitories or private bedrooms with private bathroom. Daily rental lockers: 2.5 euros. Excelente. Mathieu Jonneaux, para além de ser um surfista de topo, produz filmes como este. 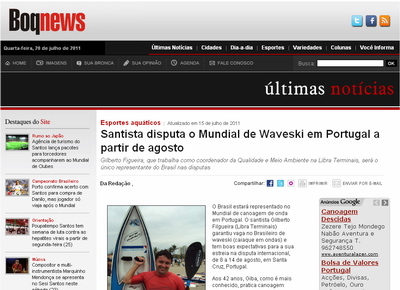 Com apenas 18 anos de idade, é uma das mais promissoras apostas no futuro do waveski francês. 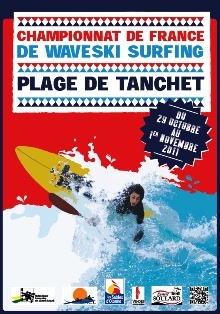 Conta com o apoio da Gath, Watertech e, claro, kayaksurf.net ;) Pelo meio, Mathieu gere a BreizhridersTV que tem produzido alguns dos melhores vídeos de waveski made in Portugal. Matt já filmou em Peniche, S.Cruz e Ericeira, por exemplo. Fica a sua última produção sobre o Easy da Watertech.